Just because the season's winding down, doesn't mean you have to throw your skis in the closet. Nope, much like it's always happy hour somewhere, it's also always snowing somewhere. Or, at least, they're always making snow. You just have to know where. 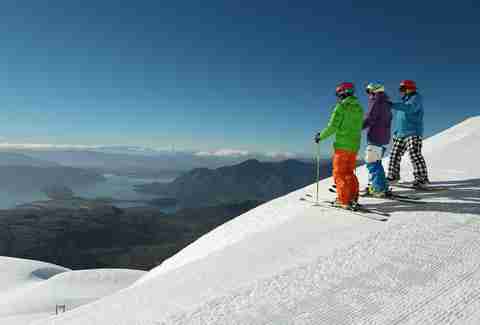 So to help you plan your summer (and fall) on the slopes, we sorted the world's best southern hemisphere and glacier ski resorts by closing date. Riksgransen sits 124mi above the Arctic Circle, on a spot where the mountains of Sweden, Finland, and Norway meet, making it one of the world’s northernmost ski resorts. While the season technically wraps up on May 24, the resort reopens from 10pm to 1am for a few days in June when the sun doesn’t set. Like, at all. Riksgransen's famous for its heli-skiing and backcountry terrain (there're one million acres of off-piste), but it also has a ton of beginner and intermediate slopes. Not only does Whistler-Blackcomb have a massive amount of skiable terrain (8,171 acres), crazy fast lifts, and a ton of natural snow, but it also boasts the legendary Horstman Glacier, the ONLY lift-served glacier in North America. 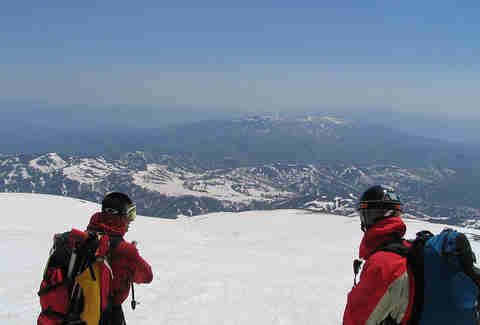 Which means that, while best suited for intermediate to advanced skiers, ski season rolls almost until the end of July. Can a ski resort get too much snow? When it comes to Japan's Gassan, the answer is actually "yes." In fact, the mountain usually gets hit so hard that the entire resort isn't even accessible until April, when its six miles of runs and lone double chairlift (and two T-bars) finally open for the summer season. Only 300mi from the French Riviera, Tignes reopens for summer skiing on its Grand Motte Glacier in July, giving you the chance to hit the beach and the mountains in the same weekend. An old-school funicular train provides access to the 11,335ft-above-sea-level glacier, which boasts 12mi of runs, chairlifts and T-bars, and a 2,460ft vertical drop. The country’s only ski resort, Tiffindell's perched 9,222ft above sea level and was recently renovated/outfitted with brand new snow-making machines. 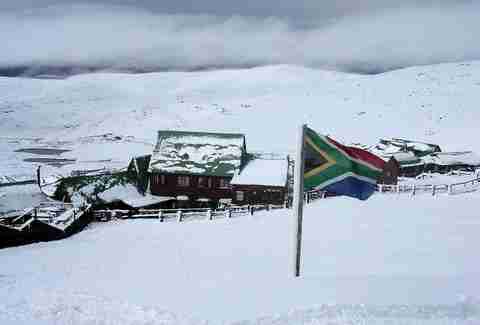 There may only be 57 acres of skiable terrain and a little over a mile of piste, but hey, you get to go SKIING IN AFRICA!!! 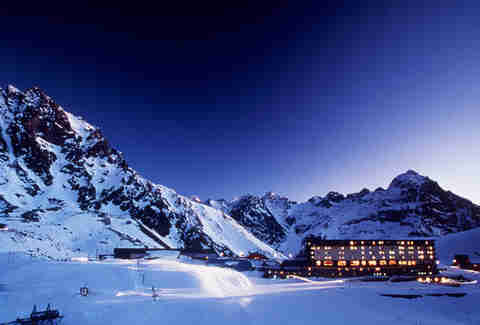 The largest ski area on New Zealand’s South Island, Treble Cone's won a bunch of awards for the variety of its terrain. It’s also apparently the off-season training ground of choice for the Norwegian and Austrian national ski teams. Be forewarned, though: the 1,359-acre resort is well-known for its extensive backcountry, black runs, and challenging terrain; only 10% of its trails are for beginners. That said, the snow is a consistent, light and fluffy, dry powder, so at least when you yardsale, it'll hurt a lot less. This super-secluded resort in the Andes Mountains consists of one single, swanky (and bright yellow) hotel that was made famous during the World Skiing Championships in 1966 (it was the first South American resort to host ‘em). What that means is that while the nightlife is lacking, lift lines are basically nonexistent. The resort’s 1,200-acres of terrain and notoriously steep runs are a fave among pro skiers, as well as the US ski team. What Perisher lacks in snow, it makes up for in size [insert your own "That's what she said" joke here]. 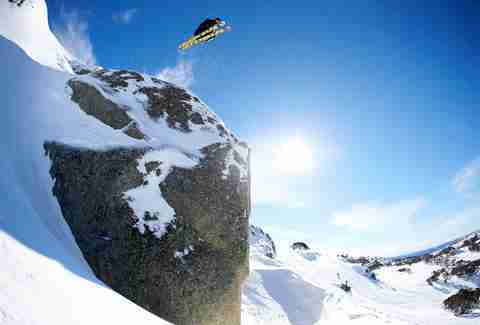 The largest ski resort in Australia, it comprises 3,076 acres of skiable terrain, four connected villages, seven peaks, 47 lifts (including an eight-seater! 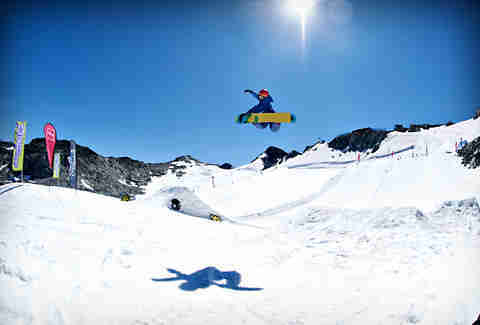 ), and five terrain parks. As for the snow, don't worry -- they have an average depth of six feet and some serious snowmaking equipment. “Steep and deep” is the name of the game at Las Leñas, a resort notorious for unexplored backcountry and gnarly off-piste skiing. While it's often touted as an “extreme skiing destination," that shouldn't discourage you from going; the resort claims 43,000 acres and 29 official runs for skiers/riders of all levels. 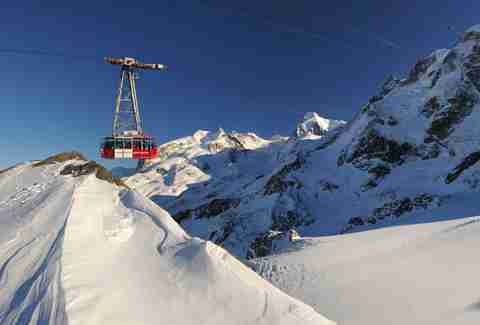 Zermatt, of Matterhorn fame, claims the highest (12,500ft) and biggest (15mi of groomed runs) summer skiing in Europe. 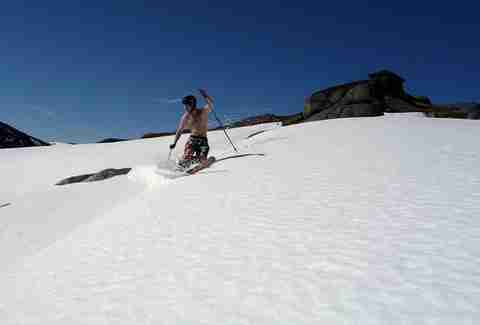 It also boldly offers an “absolute snow guarantee,” which might be the reason that its Theodul Glacier is a European national ski team training favorite.